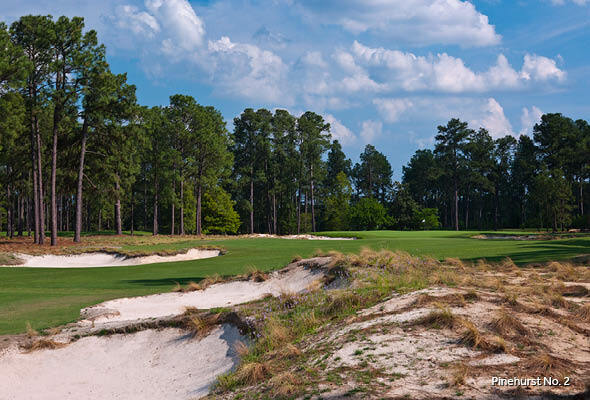 Would You Prefer a North or South Carolina Golf Trip? North Carolina vs. South Carolina. 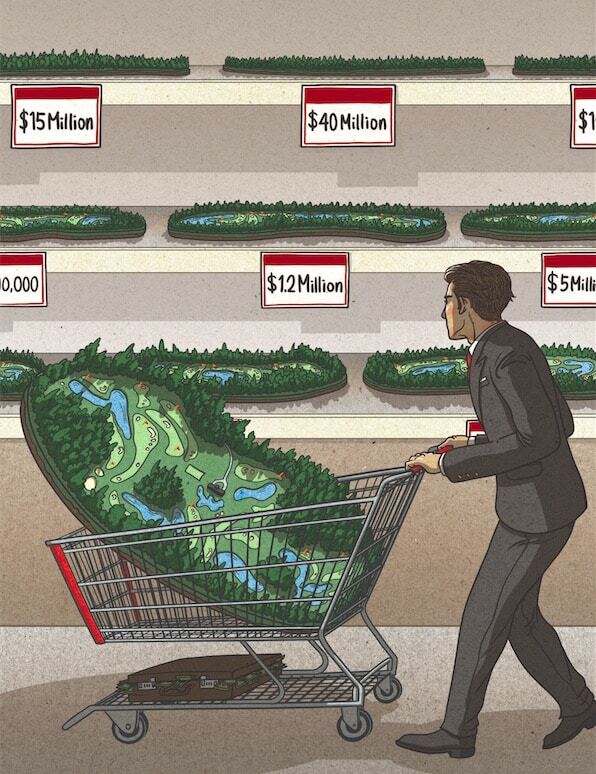 Where should you go to play golf? Both states are filled with great courses, but they have different styles and areas of expertise. In this newsletter, we point out those differences and allow you to make the choice for yourself. Let us know where you would go in the comments below! On the price front, some of these venues are hard to nail down. For instance, the best way to visit Pinehurst Resort is through one of their packages, which typically bundle golf, accommodation, and sometimes meals. Because of this, it is difficult to break out individual greens fees. Other courses on the list require caddies, so if you are planning a trip of your own, be sure to contact each course to find final pricing. In all cases, we have listed peak season prices. 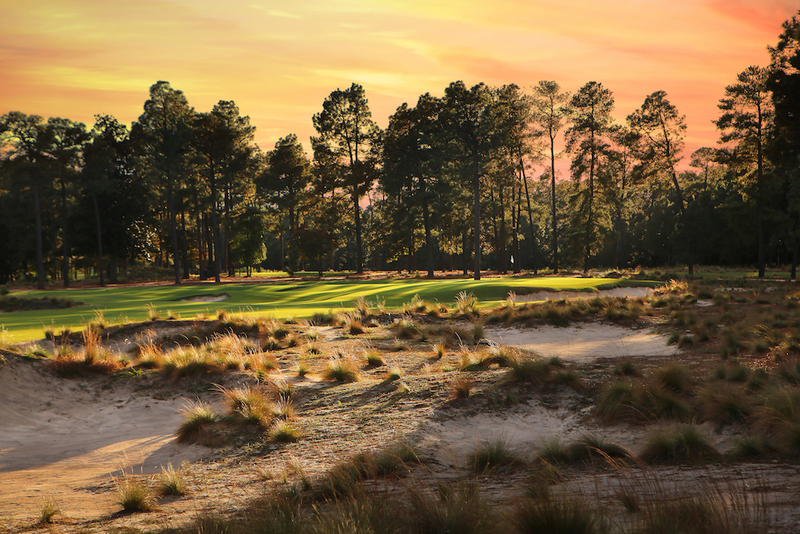 Design: Pinehurst No. 2 was a labor of love for Donald Ross, who lived close to the Sandhills area course. No. 2 was renovated by Coore & Crenshaw before the 2014 U.S. Open, which opened up the course and reintroduced many of the natural sandy areas that had been replaced with thick rough. The Ocean Course is a much newer creation by Pete Dye set beside the Atlantic Ocean. It has a reputation as a brute, but choose the right set of tees and you’re in for a treat. How to Choose: How can you choose between two major-worthy courses? If you are a beach person, you’ll naturally be drawn to Kiawah. On the other hand, if you’re all about the golf, Pinehurst has enough of it to play a different course every day for weeks. These are the two heaviest-hitters of the Carolinas. 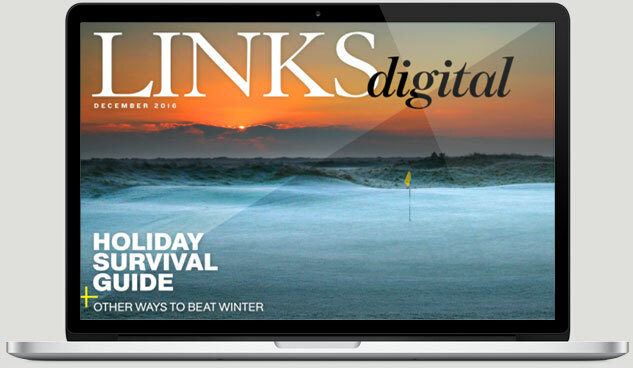 Design: These courses embody two very different design philosophies. 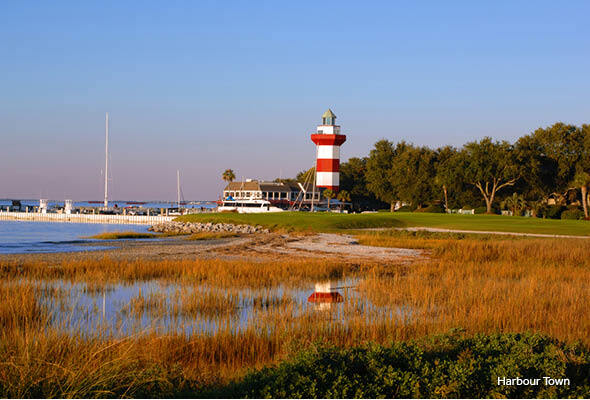 Harbour Town, a Dye design, is tight and tree-lined until the finish, which takes golfers out to the Calibogue Sound and famous Harbour Town lighthouse. Mid Pines is much more open and rolling. The course was recently renovated by Kyle Franz, an up-and-coming architect who has worked with Doak, Coore & Crenshaw, and others. How to Choose: The appeal of playing a PGA Tour course (Harbour Town hosts the RBC Heritage) is a big factor for many. 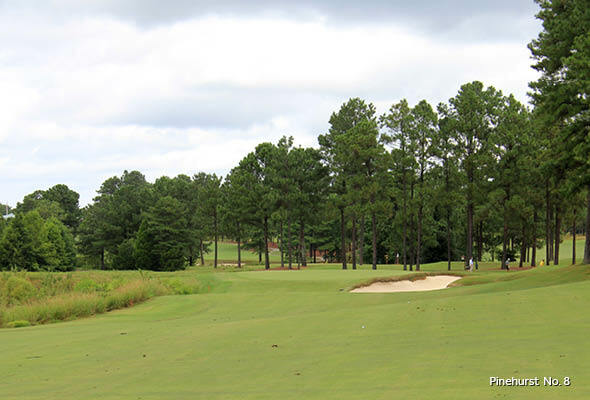 Mid Pines offers an affordable taste of a Pinehurst No. 2-style course without the price tag of the bigger names. Design: Dormie Club is a Coore & Crenshaw design with little rough, wide fairways, and natural sandy waste areas. May River has a more manicured aesthetic as a Nicklaus Signature Design at Palmetto Bluff Resort. Nicklaus stated that his intention was to create a course that focused on fun for a range of golfers. Pushed up greens and shaved slopes add challenge while wider fairways introduce opportunity for more strategy. How to Choose: Dormie Club has struggled recently with course conditioning, but the strength of the design outweighs many of those concerns. May River has the feel and amenities of a high-end private club. Again these are two very different, so go with the style you like most! Design: While Linville is one of the best examples of classic Donald Ross greens, Caledonia is a newer design that was the first solo build from the late Mike Strantz. 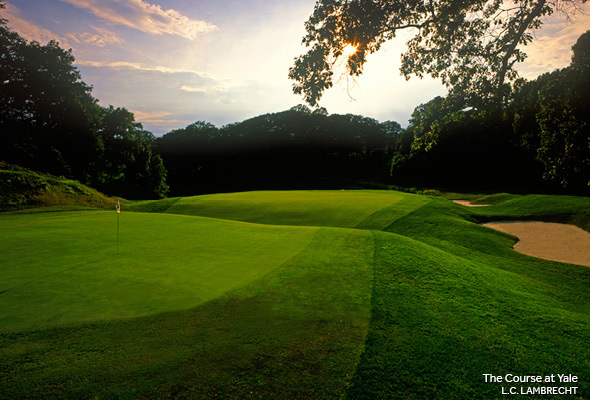 Caledonia’s greens exemplify Strantz’s creative and artistic approach to course design. How to Choose: Linville’s mountain location makes for fun elevation changes and sublime conditions in the fall. The only way to play Linville is by staying at the Eseeola Lodge near the course, hence the pricing structure mentioned above. 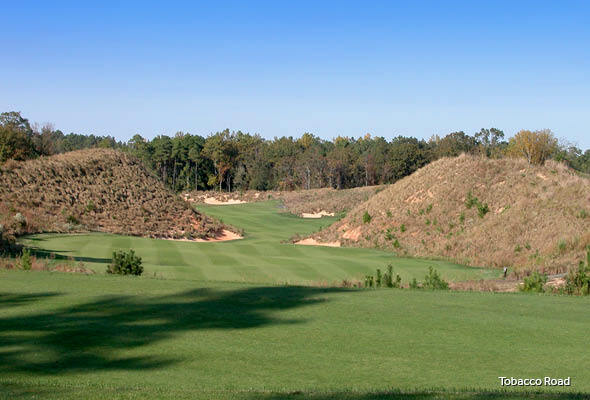 Caledonia is located near Myrtle Beach, S.C., surrounded by other golf courses, including True Blue, featured below. Design: Pinehurst No. 8 is a Tom Fazio design that is the favorite of many who visit the area. It is a playable layout that is less penal than other tournament-focused options. The course is also located a few miles from the center of the resort, and it feels like a separate private club in many ways. True Blue is a Mike Strantz design laid out over a former indigo and rice plantation. Salt marshes, creeks, and live oaks frame the design, located just outside of Myrtle Beach. 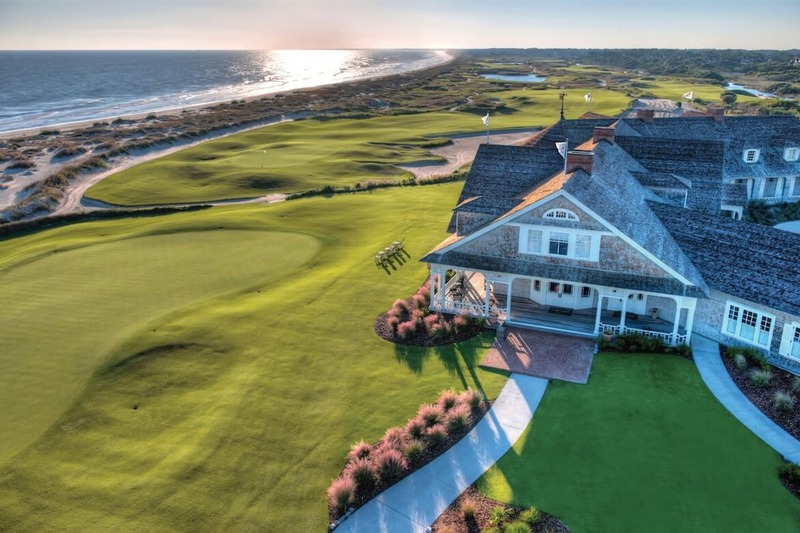 How to Choose: This is a matter of preference between time at the beach or time in the golf-filled Sandhills of North Carolina. Both courses present fun challenges and both should feature on any list of “Top Courses You Can Play” in the Carolinas. Design: Tobacco Road is widely considered Mike Strantz’s most outlandish (and fun) design. Large greens, sweeping fairways, and sandy waste areas define the course. Tidewater is a Myrtle Beach target-golf layout known for great course conditions and broad appeal. 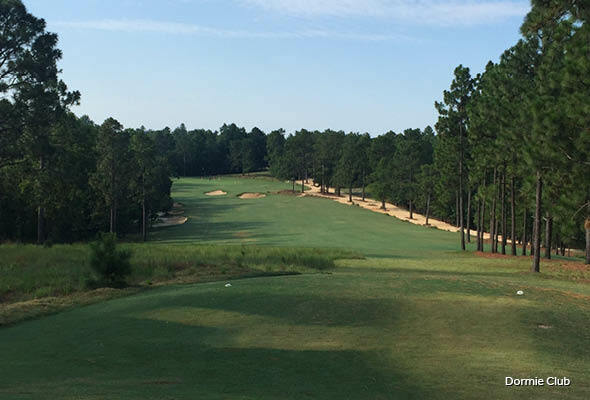 How to Choose: Tobacco Road splits opinions due to its blind shots and sloping greens. 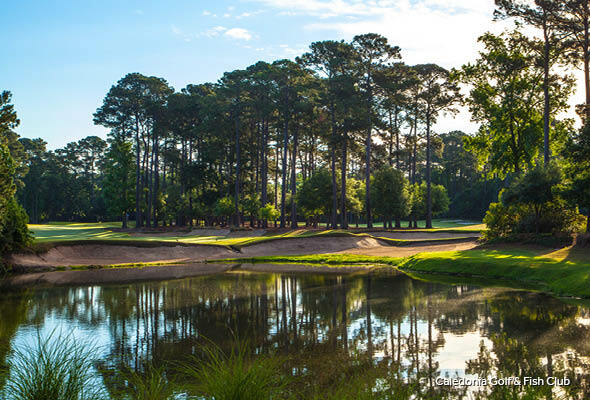 If you prefer straightforward holes and traditional layouts, Tidewater is the more suitable choice and should be on the itinerary of any Myrtle Beach golf trip. What are your favorite courses in North or South Carolina? Let us know in the comments below!